Traveling to the U.S. cruise ports of Puerto Rico and the U.S. Virgin Islands after Hurricanes Irma and Maria, it can be shocking to consider the damage felt by fellow Americans. Then, continuing on to St. Maarten/Martin, an island beloved by cruisers, you realize how extensive the Caribbean really is. 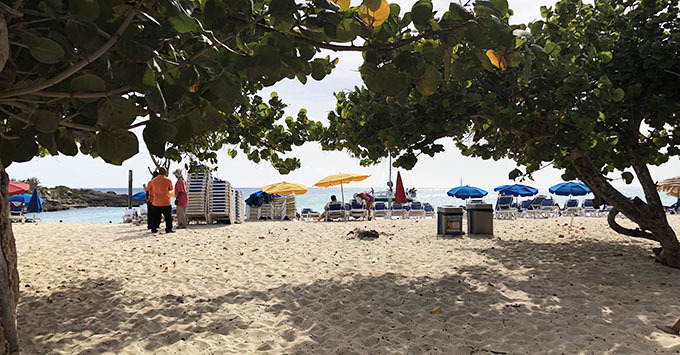 In a story of rebirth and resilience, the cruise ports of San Juan, St. Thomas and St. Maarten have moved beyond the storm damage to not just regain ships, but are looking toward some of their busiest cruise seasons on record. Here, we share what the ports have planned for the future, after their year of recovery. With the help of the Dutch marines, the Port of St. Maarten was in relatively good shape following Hurricane Irma. Royal Caribbean's Adventure of the Seas arrived on a humanitarian mission to the cruise terminal just days after the storm. 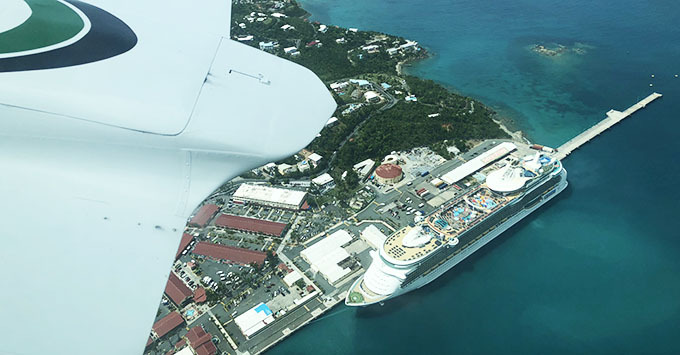 As one of the busiest Caribbean cruise ports, St. Maarten has not slowed its plans for growth. New retail buildings were in development before Irma hit, and the port decided to continue construction while the cruise terminal was still closed to coincide the project's completion with the return of cruisers. Some plans for growth -- which included a brand-new facility for homeporting ships from lines like Seabourn, Windstar and Star Clippers -- were halted by the hurricane. However, a temporary facility is currently being built, and is expected to open around November. The port remains ambitious as they work to expand their capacity from six to eight cruise ships. Plans are already underway for beautification projects around the facility like rebuilding their "cruise avenue" to include more greenery, turning a sandlot into a park, expanding the Guavaberry Emporium bar and putting in artistic mood boards along the walkways. "These two piers were the lifeline of the country, with hotels still recovering and cruise ships back soon after," said Alexander Gumbs, business development officer for the Port of St. Maarten, during a tour of the cruise terminal. "They were like the veins." 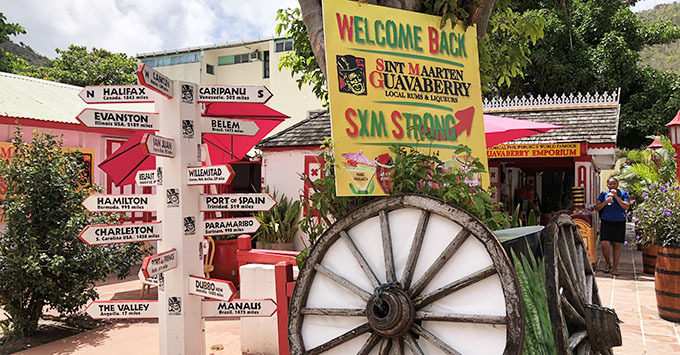 There is still tons to do and see across Dutch St. Maarten and French St. Martin, but it's not the same things you might have experienced or seen if you came to the island before. Because a lot of buildings on the island were built in the '80s, the hurricane has forced the brands to completely rebuild, and by November, a number of new hotels and other attractions will be underway. The fresh start, materializing in the form of innovative businesses and storefronts, should be equally exciting for both locals and visitors to explore. "It's like coming to a different island," says Gabriel Amado, president of the United Tour Operators Foundation. "If you have been here 10 times -- forget about it. That island -- and I mean this in a good way -- doesn't exist anymore. You're going to have to come for what's new or to the same places you know and love and see what is new there." There is a lot to look forward to in St. Thomas, and cruise line interest remains at an all-time high. During our time on the island, we were told that interest from lines like MSC and Disney (both have new-builds on the horizon) could indicate an expansion of St. Thomas' cruise terminals in the near future. While there are a couple of light days this summer, St. Thomas will resume full capacity for the busy winter season, meaning more days with six cruise ships in port -- like before the storms. One of the plans for Charlotte Amalie, the capital of St. Thomas, is already underway: a downtown revitalization. Taking the opportunity to allocate funds to pedestrian-heavy areas, the local government is investing in road expansion and improvements to its downtown, which include stone walkways and other beautification measures, as well as an expansion of its pedestrian area. What many don't realize is that the U.S. Virgin Islands celebrated their centennial in 2017, and that historic sites -- like Fort Christian in St. Thomas -- were renovated for the occasion, right before the hurricanes. With plenty of determination, the fort has reopened to visitors and from what we're told, the current site is actually planned to become the Museum of the USVI in coming years. 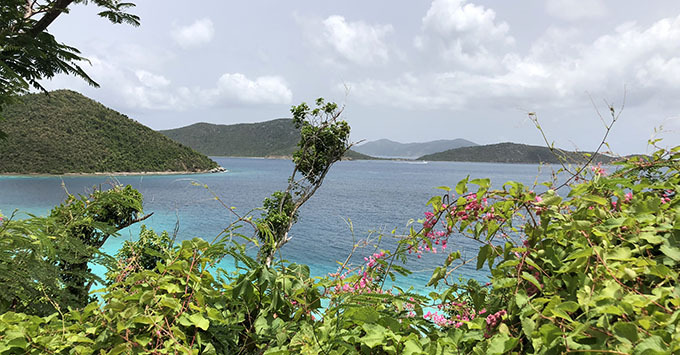 Mother Nature continues to work her magic on the recovery of Virgin Islands National Park, while the park system continues its own cleanup efforts across St. John. Well-known destinations on the island, like Cinnamon Bay and the Caneel Bay Resort, are currently in lease disputes with the park system and have not fully reopened to the public. However, the park officially reopened on December 20, 2017, and trails and beaches are back (excluding Francis Bay). In Cruz Bay, boutiques, art exhibits and even the brewery continue to innovate. Time is a major factor in St. John's hurricane recovery plan, given that 60 percent of the island is the national park. The future here is indicative of its ecosystem: resilient. The largest but least populated of the USVI, St. Croix escaped the effects of Hurricane Irma, only to be hit by Hurricane Maria right after. While the impact was distressing, Crucians -- as residents of St. Croix are known -- have bounced back with gusto. The island is known for its vibrant culinary scene, and a variety of new restaurants and food tours (including a microbrewery) have cropped up in the months following the storm. 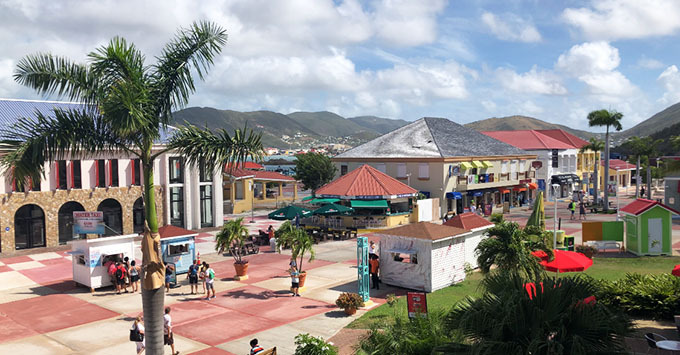 Frederiksted is the cruise port in St. Croix, and while not as heavily frequented as Charlotte Amalie in St. Thomas, it welcomes cruisers from lines like Celebrity, Royal Caribbean, Carnival and Viking. Before the hurricanes, the slogan of the U.S. Virgin Islands was "Virgin Islands Nice," which even has its own jingle performed by local artist Pressure. 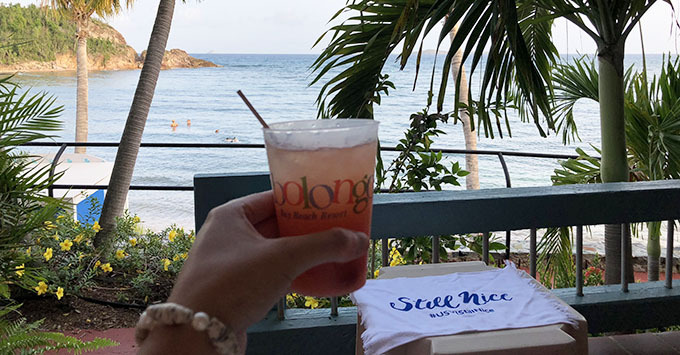 Following the storms, as the islands began to rebuild and reopen, the department of tourism repositioned to "USVI Still Nice." Now, nearly a year after Hurricanes Maria and Irma swept through St. Thomas, St. John and St. Croix, the tourism board is preparing to reintroduce "USVI Real Nice." Cruisers looking to give back to these U.S. territories can now do so through Purpose in Paradise, a new voluntourism opportunity that pairs visitors with a variety of nonprofit opportunities on the islands such as coral restoration or student literacy. My Brother's Workshop is included in the list of foundations, along with Friends of Virgin Islands National Park. Volunteer opportunities can be designed around cruise ship passengers to ensure they are back to their ship on time, as well as any physical or mobility limitations. In La Perla, a well-known waterfront slum, you hear the occasional hammering of locals reclaiming their normal. The video for international pop hit "Despacito" was filmed here; despacito meaning "very slowly" is perhaps an apt slogan for aspects of the hurricane recovery. Despite the incredible speed with which the port and the city of San Juan reopened to tourism, recovering from a disaster on this scale is nevertheless a trying process. Still, shocking statistics prove that visitors are more eager than ever to visit the island. Brad Dean, CEO of Discover Puerto Rico, reports a record 1.2 million cruise passengers for the fiscal year beginning in June 2017. Cruise tourism in May 2018 was the highest it's been for that month in 20 years -- 107,390 cruise passengers passed through the Port of San Juan. "Resuming operations at the San Juan Port two weeks after Hurricane Maria is a testament that the cruise industry overall is one of the strongest and most promising sectors in Puerto Rico," says Dean. "We are expecting a record-breaking 1.7 million passengers during the next cruise season, proving once again the importance of Puerto Rico as a major Caribbean hub and destination." In other parts of the territory, the powerlines are still being repaired, and then the task of restructuring the entire power grid for the future begins. It will probably take a decade. But the garitas or guardhouses all along the walls of the city, the official symbol of San Juan, have remained in place for centuries. 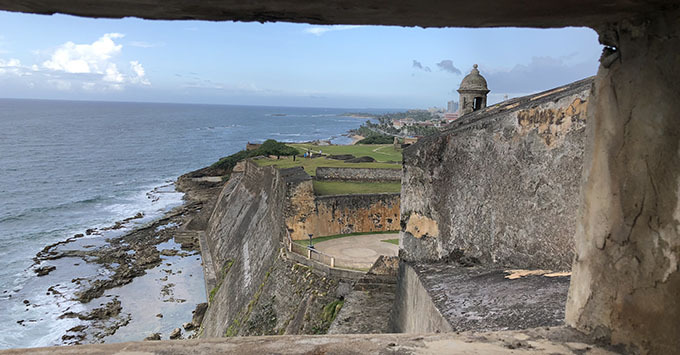 The City of San Juan celebrates its 500th year in 2021; there's no denying that although Puerto Rico is part of our nation, it has endured for longer. Buildings here have stood since the 16th century and outlasted full-blown wars, let alone the winds of Maria.